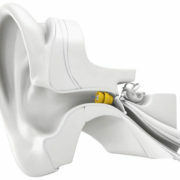 Cochlear implants are used in the patient who cannot benefit from hearing aids. 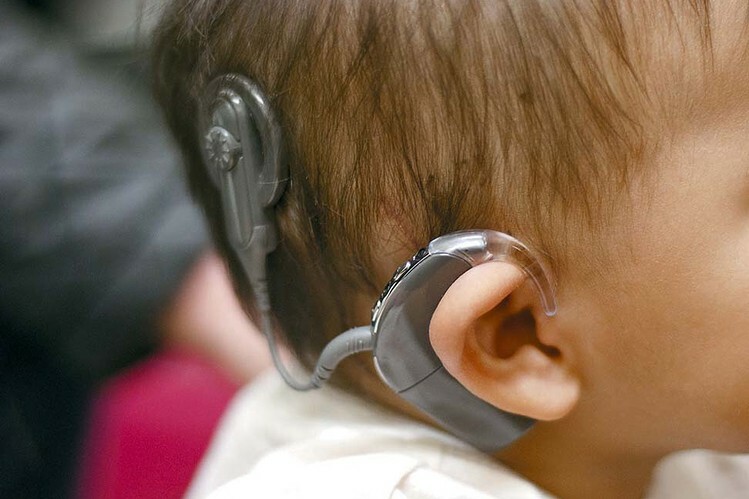 The cochlear implant is a device used to bypass the damaged organ of hearing and convert sound into electrical impulses that can directly stimulate the hearing nerve. The implant has of an external portion worn on the ear like a hearing aid or on the body. This device, called the sound processor, is comprised of a microphone, power compartm ent and external coil. The internal portion, which is typically made of ceramic or silicone, consists of an electrode array and must be surgically implanted. 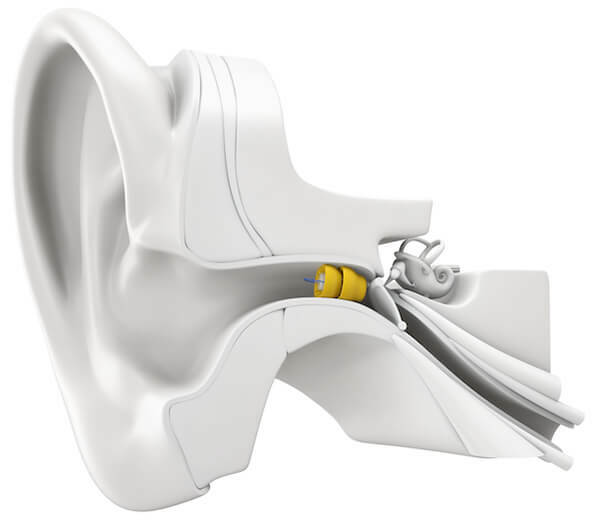 The surgical procedure involves the placement of an internal receiver beneath the skin behind the ear, and the electrode array, which is inserted into the organ of hearing, or the cochlea. 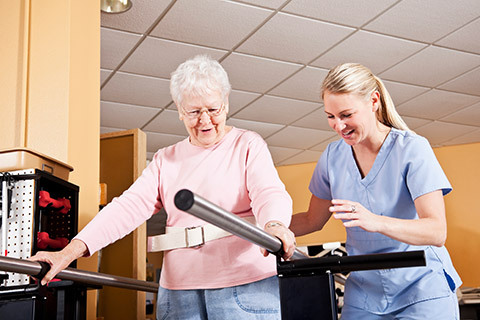 The electrical signals are programmed by the audiologist to maximize speech perception and are controlled by the speech processor. The brain interprets these electrical impulses as sound. 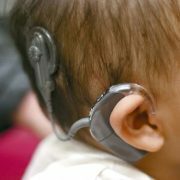 To find out more about cochlear implants, please refer to our blog titled; Cochlear Implants. The majority of adults benefit immediately. Once the initial tuning sessions have been completed, they will continue to improve for about 3 months. After that, performance will continue to improve, but at a slower rate. The ability to perceive loud, medium and soft sounds. The majority of people report that they can perceive different types of sounds, such as footsteps, slamming of doors, sounds of engines, ringing of the telephone, barking of dogs, whistling of the tea kettle, rustling of leaves, the sound of a light switch being switched on and off, and so on. Understand speech without lip-reading. Even if this isn’t possible, the implant will help with lip-reading. The ability to watch TV more easily. This will also improve if the user is able to see the speaker’s face. However, listening to the radio is often more difficult as there are no visual cues available. Most are able to make phone calls. Some good performers can make normal telephone calls and even understand an unfamiliar speaker. However, not all people who have implants are able to use the phone.